Ulthera has long been the gold standard for non-invasive skin tightening on the face, neck and chest. It can help raise a sinking brow, lift a drooping jawline and smooth out a saggy neck. As the technology has become further established and improved, we have started treating “off-label” areas such as the abdomen, inner arms, thighs and buttocks with impressive results. Here are some of the most common questions patients ask during consultation for Ulthera body treatment. Any patient (men or women) with skin laxity on the body. We find that patients with crepey aging skin see an especially impressive change. We strive to keep patients at optimal energy levels for the duration of the treatment, so there will be some discomfort. We ask that patients arrive 1 hour before their appointment so we may apply a prescription strength topical anesthetic. We also offer oral medication to alleviate any discomfort. Any patients taking oral medication must first disclose their medications and allergies and arrange for a driver to take them home following treatment. area we are treating and the patient’s pain tolerance. Absolutely! Results are additive so if you treat an area, but want a little bit more result, you can do a second treatment. We generally recommend waiting 2-4 months to repeat treatment in the same area. For some of our patients with more skin laxity we recommend they plan for a two treatment series for maximum results. Many patients see an immediate tightening in the connective tissue. It’s not uncommon for someone to report there is a change even the next day. However, the stimulation and production of new collagen is part of a “healing process” and can take up to 6 months to complete. Most patients will see the majority of their result at 3 months. In some patients there may be continued improvements beyond that. Are there injections, incisions or downtime? There are no injections or incisions, Ulthera is an entirely non-invasive treatment. There is relatively little downtime. You may have an immediate hive-like reaction that can persist for a few hours. There may be temporary redness, mild bruising and minor swelling the next day. Post care is easy, topical benadryl or arnica gel may be applied, as well as light ice for any tenderness or to reduce swelling if needed. 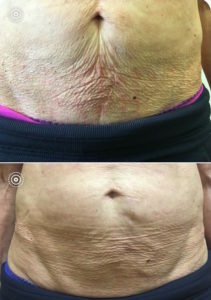 We never expect a patient to scar with Ulthera. However, as with any medical procedure it is a potential risk. We take great care within our practice to ensure our patients have the best outcome and safest treatments possible. 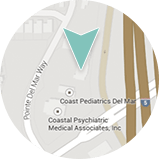 We recommend you first have a consultation to assess the area you are desiring treatment. There may be other treatment options that would be beneficial or more appropriate for your particular needs. At this appointment you will discuss your health history and specific concerns. Cost and preparation will also be covered. 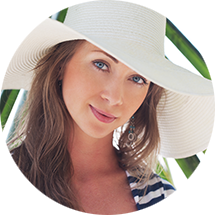 To schedule a Ulthera-body consultation contact us at Dermatology & Laser of Del Mar.